Bangalore (or Bengaluru, as it is now officially known) is the world’s 4th largest tech cluster, and on track to become the world’s largest by 2020, according to the local government. It is the hub for India’s $150 billion tech sector, which accounts for nearly 10% of the country’s GDP. It is also home to the largest number of tech start-ups in the country, and the third largest globally, earning it the designation Silicon Plateau – India’s Silicon Valley. Top businesses and top talent from around the world are attracted to Bangalore: immigrants make up an estimated 70% of the population and almost 50% of migrants to Bangalore are university graduates and post-graduates. More than 400 multinational corporations have located operations in the city – including Accenture, Bosch, Hitachi, IBM, KPMG, Microsoft, Samsung, and Siemens, alongside native IT giants such as Infosys, Wipro and Tata Consulting Services. Bangalore is a diverse city that successfully integrates people from many backgrounds and cultures. It has a vibrant LGBT+ community – even though the national context is not inclusive of LGBT+ people. The Bangalore Queer Film Festival has been running for 9 years, showcasing LGBT+ movies and films from all over the world. 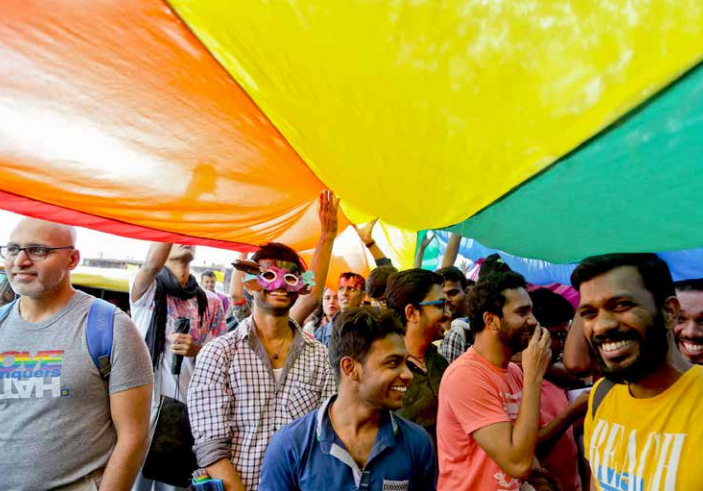 Bangalore Pride, or Bengaluru Pride & Karnataka Queer Habba, is one of the largest LGBT+ celebrations in India and has been running since 2008. The city’s first LGBT+ community group, GoodAsYou, started in 1994. There are no dedicated gay bars in India, but straight bars in Bangalore have weekly LGBT+ parties for the community. An environment of inclusion and tolerance is part of what the World Economic Forum calls the “soft connectivity” of an urban area, and it is an important element of a city’s innovation ecosystem. Here, too, Bangalore excels: it is home to over 200 engineering colleges and has over 400 R&D centers. Many of the operation are of significant scale: GE, for example, has its largest integrated multidisciplinary R&D center in Bangalore, where over 5,300 engineers have filed more than 2,250 patents. Bangalore’s innovation ecosystem is very broad-based, stretching from aerospace to biotech. In aerospace, India’s National Aerospace Laboratories and the Indian Space Research Organization are both Bangalore-based, and Boeing, Airbus, and Honeywell also have operations in the city. In biotech, Bangalore has a number of world-class biotech research centers, including the National Centre for Biological Sciences, and the Institute of Bioinformatics and Applied Biotechnology – fuelling biotech entrepreneurial activity. Bangalore has become a model for how a diverse and tolerant city can compete on a world stage and attract high-value economic activity. Income growth has been high, even by emerging economy standards: from 2007 to 2012 Bangalore’s annual real GDP growth rate was 8.1%, higher than the rest of the country (6.8%). The city’s population has doubled in the past 15 years, to around 12 million. This rapid growth comes with significant challenges: Bangalore’s infrastructure is struggling to cope with the city’s success, and Mercer’s 2017 Quality of Living Index ranked the city a low 146. A study by the Indian Institute of Science study says went as far as suggesting the city will be uninhabitable by 2025. These are the challenges of rapid growth – and Bangalore shows no signs of slowing down: it took the number one spot in JLL’s 2017 City Momentum Index.